A retired Jersey geography teacher will be in charge of the sitting volleyball event at the Paralympic Games, which opens this evening. Denis Le Breuilly founded the Jersey Volleyball Association and has a long track record as an international volleyball referee. He was appointed as the Technical Delegate for Sitting Volleyball at the London Games by the International Paralympic Committee in 2010. He is responsible for the delivery of the event, which includes ten men’s and eight women’s teams playing in a 10,000 seat arena. Other responsibilities to date have included overseeing the qualifying events, including personally delivering a landmark event in Rwanda which ensured Paralympic Volleyball would have its first African team. 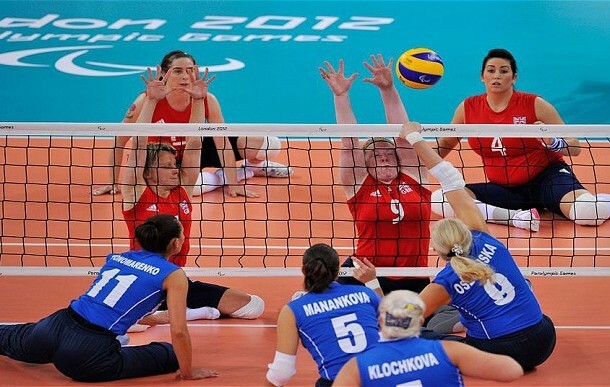 Sitting volleyball is a sport that does not require technology. Players compete sitting on the court, without wheelchairs or prostheses. Hi, I am doing a university group project, we will be designing a new volleyball cart to make it easier for the players, the finished product will be held in the Crystal exhibition centre in June, we are currently in the research stage of the project, I would like to ask you a few questions about the current sitting volleyball cart, if you could take a few minutes to answer. Are the sitting volleyball ball carts different to the volleyball carts? Do you think there are any problems with the current sitting volleyball cart? If so, how do you think this problem could be solved? Hi Chelsey, has anyone gone back to you?